Congrats to Ryan D. of Belmont, Michigan who just won a $25.00 Restaurant.com gift code for writing a review for 3Gstore IP Switch - 2 Outlet - US - Latest Firmware at 3Gstore.com! Every week we randomly pick one product review from the previous week and award the writer a $25.00 gift code. We appreciate ALL the reviews our customers write, whether they are positive or negative - honest reviews like Ryan D.\'s help other customers decide if the product is right for them. After you purchase a product from 3Gstore.com, we encourage you to log in and 3Gstore.com and leave a review letting people know how the product worked for you - you'll be helping others, and you'll automatically be entered to win a restaurant.com gift code!. 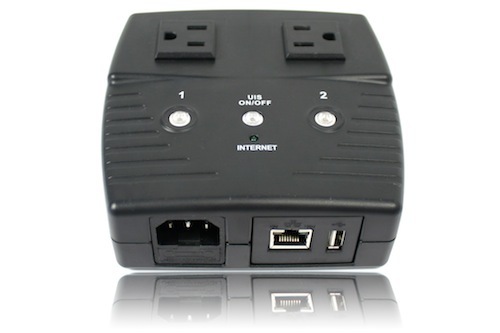 Works perfectly to allow power cycle of Comcast I-net router and Netopia gateway device. Keeps me from having to drive into work after hours just to power cycle devices. Had issues setting up the texting feature of the device, contacted 3G store support and they were able to help me out with the issue.